You can mark each line item as taxable or not. 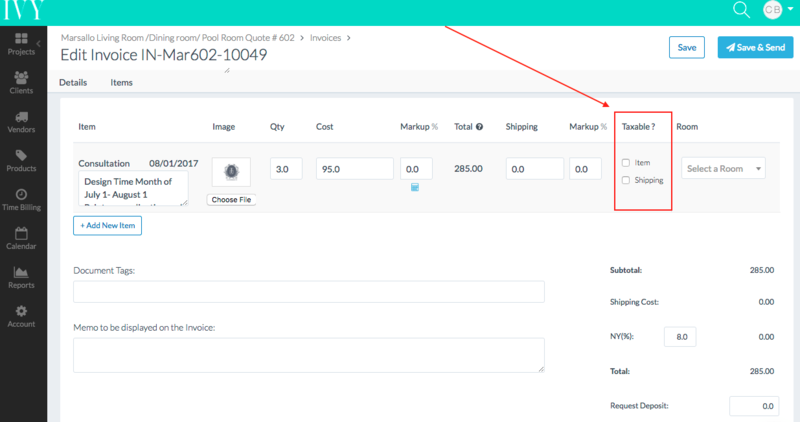 You'll see in edit mode on the invoice there is a column called "Taxable" and in each line item under that column there are two check boxes: 1. Item (i.e. is the item taxable? ), 2. Shipping (i.e. is the shipping taxable - if you've included shipping in that line item?). You can check off "Item" and it will calculate the tax for you at the bottom of the invoice before the total.